Do you have missing teeth that are affecting your ability to live life to the fullest? If you do or if you’re facing tooth loss, consider these 3 replacement options when discussing your choices with your dentist in Cocoa Beach. Dental bridges are a series of dental crowns that can be used to replace missing teeth. Multiple dental crowns are attached together to create the bridge, replacing consecutive lost teeth. By being cemented to natural surrounding teeth, a dental bridge can restore your missing teeth. Getting bridges placed include a non-surgical procedure that’s much quicker than that of dental implants. You can expect to only visit the dentist for your bridges over the course of a few weeks for dental bridges. Dental bridges are a very affordable option compared to other dental prosthetics. Dental bridges can be combined with dental implants for the most stable, long-lasting tooth replacement. Dental bridges aren’t as natural looking as dental implants. You will need to periodically replace your dental bridges every few years. Your dentist will need to alter the neighboring teeth to have your bridge placed. There are two different types of dentures that patients can choose depending on their level of tooth loss. 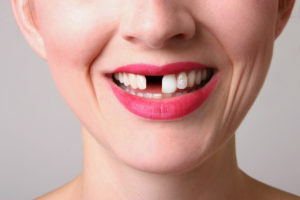 Partial dentures are a great way to replace several teeth in various places within your mouth, fitting between your natural teeth like the perfect puzzle piece. Full (complete) dentures can replace a whole arch of teeth. Dentures allow patients to eat without issues. Dentures help patients speak clearly. Dentures provide patients with more compliments. Dentures can be combined with dental implants to help patients with severe tooth loss. When you think of a dental implant, think of an anchor. Anchors hold things in place. In dentistry, a dental implant is a surgically implanted anchor into your jaw. That doesn’t sound too inviting to most patients. Considering the situation, it’s the best option to permanently restore your smile. A period will pass where your body is adjusting to the implant post and fusing it with your jawbone. After that phase, your abutment will be placed along with your best fitting dental prosthetic. The maintenance of dental implants is minimal compared to other dental prosthetics because they act as natural teeth. Our dental implants are built to last a lifetime. They protect your jawbone and stimulate new growth. Replaces both parts of the tooth: the root and the crown. You will be required to undergo oral surgery to have your implant posts placed. The process takes longer than one office visit, and up to several months to heal. The cost of dental implants varies depending on your dental issue’s level of severity. Dr. Gary C. Nawrocki has studied cosmetic dentistry at Louisiana State’s Dental School and advanced aesthetics with Rosenthal Institute of New York. By devoting his practice to excellence, esthetics, and extraordinary service, Dr. Gary C. Nawrocki has improved his patients’ outlooks on life by replacing their teeth with functional and beautiful replacement teeth. Need to speak with Dr. Nawrocki about tooth loss? Feel free to call (321) 783-7514.